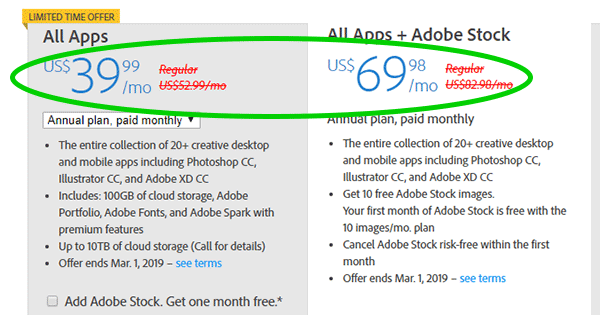 For a limited time (until Friday, March 1st), first-time subscribers to the Creative Cloud ‘All Apps’ plan can score a 25%-43% discount off the regular prices for your first year. This matches the all-time lowest prices ever offered on these popular products. 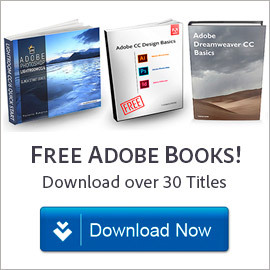 Adobe is having a worldwide sale with money-saving deals lined up through Black Friday and Cyber Monday 2018 (and beyond), and we’ve got the complete guide below… There are some amazing offers for major products in this “season of savings” – with discounts as much as 74% off the regular prices! 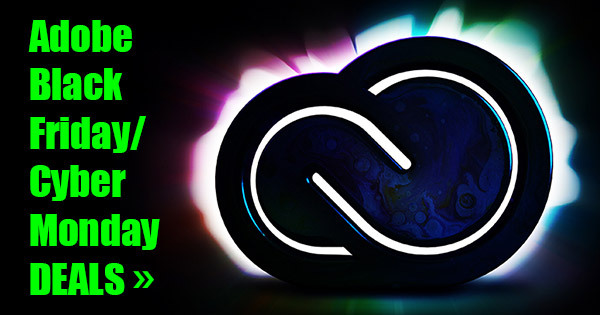 The company is running four major promotions for the all-new Creative Cloud (CC) 2019. These are the all-time lowest prices ever offered on these popular products. The holiday deals begin today, November 16th, and will run continuously until Friday, Nov­ember 30th (extended!) at 11:59pm Pacific Time. So don’t delay, as these values only come once per year! 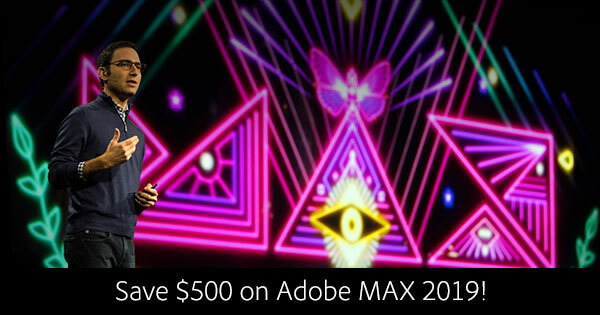 Adobe has also quietly launched a free MAX 2019 pre-registration portal where you can quickly guarantee a US$500 discount off the regular price if you decide to go. 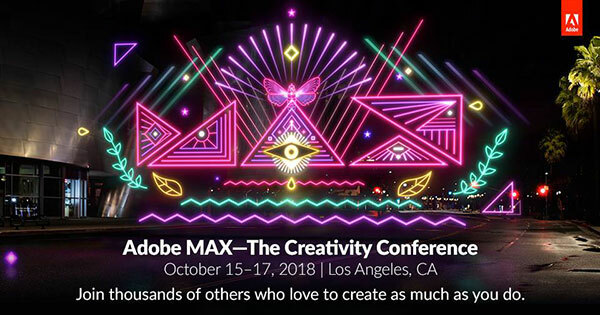 If you’d like to go to Adobe MAX this year in Los Angeles (October 15-17) and save US$400-$500 in the process, then you came to the right place… You can get an instant discount of $400 simply by using our exclusive ProDesignTools promotion code here: M18PDT. This coupon code is valid worldwide. 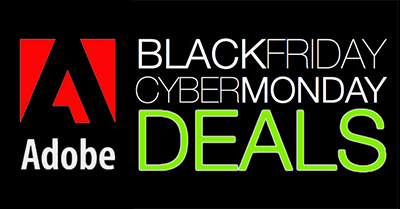 Adobe is having a worldwide sale with money-saving deals lined up through Black Friday and Cyber Monday 2017 (and beyond), and we’ve got the complete guide below… Although there are fewer offers than previous years, the new specials still match the same level of discount off the regular prices as past Black Fridays. 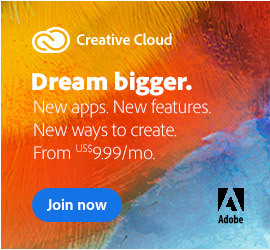 The company is running two major promo­tions for the all-new Creative Cloud (CC) 2018. Both are the lowest prices ever offered on these popular products. The holiday deals begin today and will run continuously until Friday, Dec­ember 1st (extended!) at 11:59pm Pacific Time. So don’t delay, as these only come once per year! 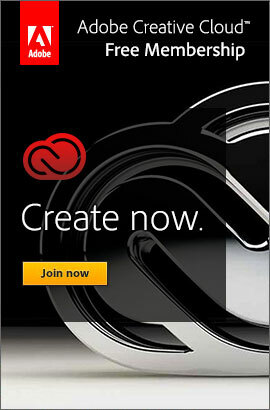 We have a special Creative Cloud promotion from Adobe for you. 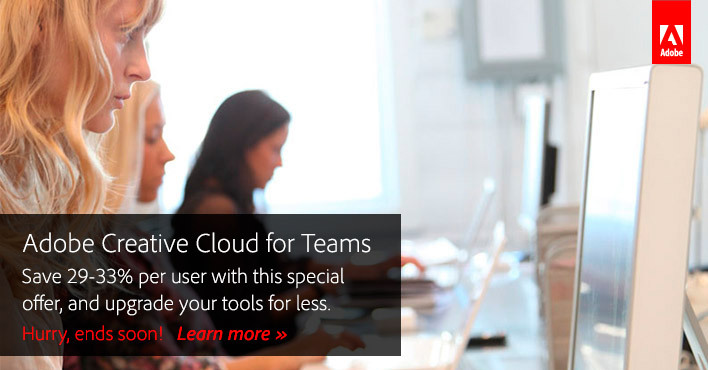 For a limited time, you can save US$20/month (almost 30%) on Creative Cloud for Teams for your first year. 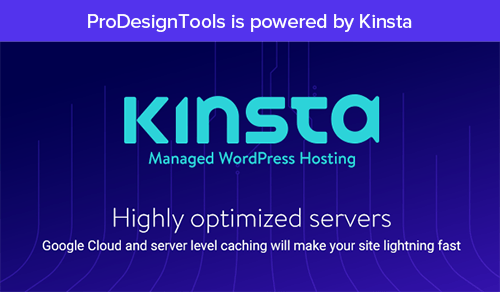 That comes out to under US$50 a month for the entire CC collection of tools and services, including thousands of new features and performance improvements, as well as ongoing product updates! This promotion is available in many countries worldwide with similar discounts… See below for offer details and links. 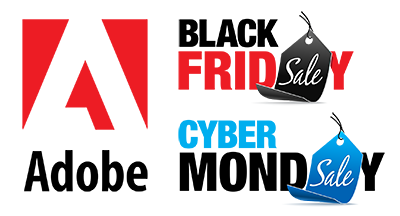 Adobe is having a worldwide sale with money-saving deals lined up through Black Friday and Cyber Monday 2015, and we’ve got the complete guide below… There are some nice offers on tap for major products in this “season of savings” – with discounts as much as 68% off the regular prices! 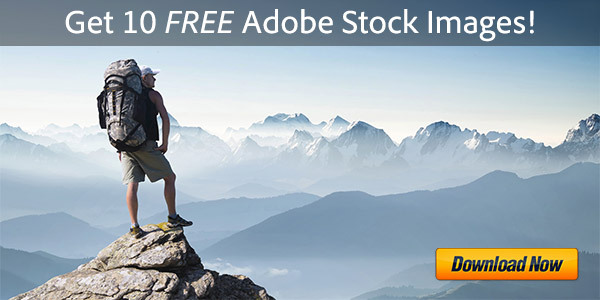 The company is running several major promotions for Creative Cloud (CC 2015) and for Elements. All are the lowest prices ever offered on these popular products. The holiday deals begin on Monday, Nov­ember 9th at 12:00pm Eastern Time and will run continuously until Wednes­day, Decem­ber 2nd at 11:59pm Pacific Time. 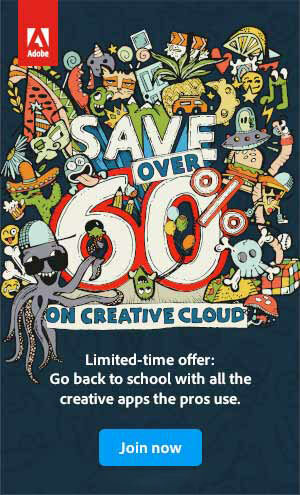 — Creative Cloud 20% Off: Normally $49.99/month for new customers signing up for an annual plan – now the complete Adobe CC member­ship will be available at a special discounted rate of $39.99/month (or £36.59/€47.59/A$39.99 including VAT) for one year. 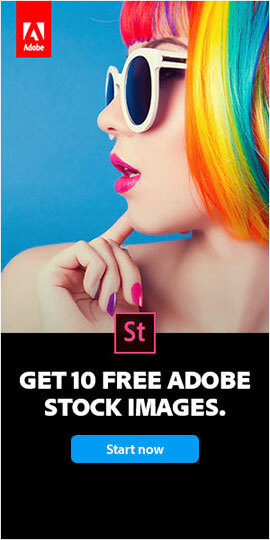 Or you can also get 20% off any CC Single-Tool Subscription, or for Creative Cloud with Adobe Stock. No previous software ownership or other qualifications are necessary to receive this reduction.